You already know that ranking high in search results is going to get you more traffic, more leads and sales for your business. Finding a good, affordable SEO company may seem very challenging and it is, without understanding what’s here in this post. SEO is an excellent strategy for one, but definitely not both types of business, but as it is with all marketing choices for your business, it can be a minefield when it comes to finding a good quality, trustworthy SEO company to pay and use. So how do you find a trustworthy, high value company to pay for SEO services? The best answer is very warily. Unfortunately SEO is a complex subject with constant changes by the God of the internet – Google. They make and also change the rules frequently. Some things keep changing with SEO, but what the SEO company’s don’t tell you is that some things have also never changed – for the 15 years I’ve been learning, researching and applying SEO tactics to websites. SEO is a big challenge for business owners, because they recognise the importance of SEO and the value of effective SEO, but also know there are a lot of service providers with no integrity promising to “rank your site No.1 on page one” in a month. On-page is where you can do a lot yourself and significantly improve the rank of your website. On-page SEO is about ‘getting your house in order’ so that both visitors and Google both find it “user friendly”. With access to your website’s Admin you can change most of these yourself, just by watching a few YouTube videos to learn how. Without good quality On-page SEO, you will struggle to rank high in Google search results. Google rewards you for optimising your site. One almost completely overlooked On-page ranking factor is anchor text links. It’s simply where you link one page to another on your website, using anchor text or a keyword phrase in your text on the page. Find out more about effective online marketing training. In regards to learning how to do anchor text links, just watch a YouTube video to learn how It’s easy to learn and takes only minutes to do. A LOT of improvements have been achieved with this website’s rank just through small changes to a page’s text or TITLE. Rank changes can be seen in the most under-utilised SEO tool there is – Google’s Search Console. Note the change in Position, which was achieved with just basic On-page changes. This image shows other data for what Search Console reveals, such as listing all the keywords (Queries) your site is indexed for. It also shows the search result rank of each keyword and the number of Monthly Searches and Impressions. Without having Search Console setup for your website, you’re completely flying blind with any SEO work a company may carry out on your site. Google Analytics is another tool but for SEO research and facts, Search Console is 3 times better. 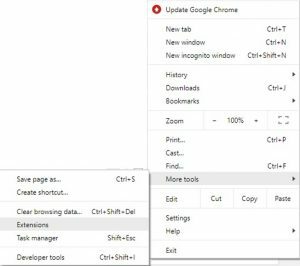 Setting up Search Console is something you need to do NOW. It’s free and takes about 5 minutes for a website developer. Of these, the most influential on rank is backlinks. A backlink isn’t always valuable and in fact sometimes has zero value or can be damaging to your website’s ability to rank. Understanding the no-follow- do-follow rule of backlinks is the first thing to learn and check on for on all website’s backlinks. Some backlinks are “white-hat” – i.e. safe to use, and some are “black-hat” or unsafe. That’s just some of them, but these are all a very good place to get FREE backlinks with a profile of your business, even if you don’t choose to use it to post content. Make sure you include a description when setting up a profile on these platforms. 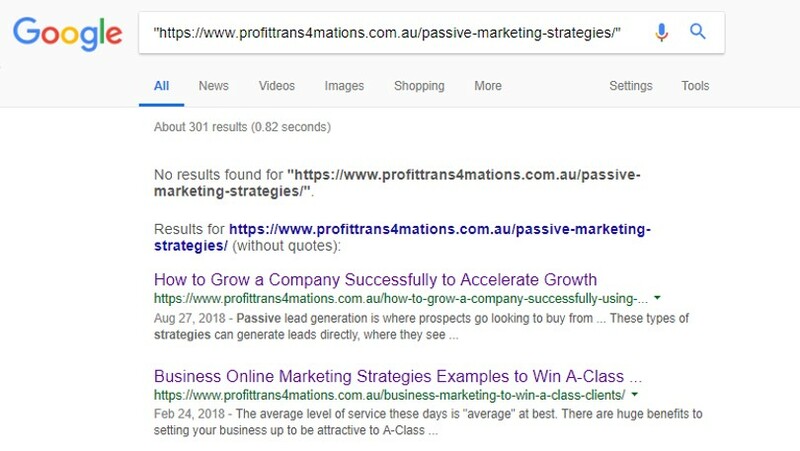 Google likes descriptions around backlinks. When you setup each social platform, always include links to the other platforms as well as it all helps. Other very good type of safe backlink are ones called “Citations”. These are where you list your business name, address and phone number on sites such as directories like Truelocal. There are dozens of free directories Australian based however the most popular ones are the safest. You can get some reasonable traffic to your site too from these. Learn a lot more about SEO yourself – starting with something you can trust… the FACTS. SEO is a very technical topic and there’s much “smoke and mirrors” going on in the industry for the uneducated. For example, did you know there are two very different types of backlinks, “do-follow” and “no-follow”? No-follow links pass on no “link juice” or power to a site, only do-follow ones do. That said, every industry has an ideal ratio of do-follow to no-follow ratio – expressed as a percentage of links that are do-follow. If your site has 100% do-follow links to it (which is nearly impossible), Google would get suspicious and potential issue a “Penalty” to your site or page/s rank, dropping your page a lot of positions in search ranking results. The ratio of do-follow to no-follow varies from industry to industry. The best way to know what is safe is to do in terms of how many do-follow links as a percentage to aim for is to do an assessment of all your 5 to 10 competitors to see their do-follow percentage as an average. Yes, that’s a LOT of work and possibly unnecessary if you don’t want to put serious amounts of time into SEO work and obtaining your own backlinks, so don’t worry too much about it. You may be paying for SEO and getting backlinks in a report they give you, but if you don’t know this one fact, you may be receiving no value from the work you are paying the SEO company to do. How can you find out about these two types of backlinks and if your site’s new link from an SEO company is a do-follow one? When you’re on a page that has a backlink to your web page, just click the icon in the your browser and it will go through and highlight all the links on the page as red or green. Red links will show up as no-follow and green as do-follow. Simple! The next fact is that the power and quality of a backlink massive impacts the value of it. Some backlinks can be from sites with questionable practices that Google dislikes. A way to check this is to see if the page containing a backlink is “indexed”. To do so just put a double inverted comma around the URL and hit enter, as you can see in this image. The reason this page is not indexed is because its a new blog post and Google can take an hour to a day to index it. Just because you can go straight to a page by pasting its URL in the browser and hitting enter doesn’t mean the page is “indexed”. The only way to tell is to do the double inverted commas, or copy a large section of the text on the page (2 sentences or more) and paste that into Google with double inverted commas on either end. For starters, it will be a do-follow one. Next it will have high authority and traffic to the page the backlink to your site is on. A backlink can be on a site with no traffic and no authority. Authority is a grey subject but agreed exists by all SEO experts. Authority used to be stated by Google by something called “Page Rank” and you could get a free browser extension that told you the rank of a page as a figure out of 10 when visiting it. Google stopped all that and said it doesn’t use Page Rank any more, and there’s some truth to that, but not 100%. Authority of a page is a measure of how powerful and influential a link will be to another site. Without going into loads of details to explain it, just understand that a site and page with a LOT of other backlinks to it will have more power if it has a link to your own website than if it had no backlinks to that page. A number of SEO companies have created their own measure of a website’s “authority” so its beneficial to use one of them and their scale. Two beneficial, free ones are the MOZ Toolbar and Ahrefs SEO Toolbar. I used to use MOZ but now find more value from Ahrefs. The image shows a report for the old .com URL used before a new site was built on a .com.au domain. The figures to take note of are the UR and DR scores. The DR is similar to Google’s Page Rank score that is redundant. You can get a free browser Extension for Chrome from Ahrefs that gives you the DR score of any web page you visit, which is very handy if you’re considering its quality for a backlink. When installed a number in white will appear inside a red square in the hand that is the DR score. Ahrefs made their scale go from 1 to 100 for domains (DR) and also from 1 to 100 for the page (UR) score. This site has “0” Organic traffic because the site doesn’t exist, but it still shows the backlinks to it. That URL was “redirected” to the new .com.au domain, so a lot of the “link juice” has been passed on. Ahrefs has a free account you can do some basic things with including checking on your own website “rank” and backlinks. Notice the percentage of “dofollow” links on the right is 64% a good figure that allows for a lot more dofollow links to boost ranking. By clicking on Backlinks on the top left menu links to the website can be seen as dofollow or nofollow as well. That site is regarded as the No. 1 best SEO analysis and fact generating site in the world by SEO companies. Subscribing to their newsletter is worthwhile too, however most of it is far too advanced information for the average business owner who has too little time to learn SEO for months. All of the above has hopefully given you a good insight into the basics of SEO. You now know about a LOT of things essential to understanding SEO and what SEO companies do. There’s still so much more to learn and benefit from and different businesses need different things with SEO. Some websites are extremely poor with TITLE choices, which is a very important aspect of ranking in Google. Some websites built with templates are anti-SEO so its near impossible to get them to rank high. From my experience, WordPress is the best ranking (and most popular) websites by far. Beware using any cheap ‘template’ sites that are not WordPress. After changing from a fully SEO optimised Joomla site to a WordPress site the traffic increase was 10-fold in 2 months, with a brand new domain! When you get all the basics right, you’re well on your way to understanding how to find a good SEO company, but you’re not far off doing SEO yourself with a little bit more training. If feeling empowered and educated on facts about SEO interests you, to save 50% to 80% on the $10,000 to $15,000+ cost of a questionable SEO company, book in for a one on one chat about your business’ SEO. 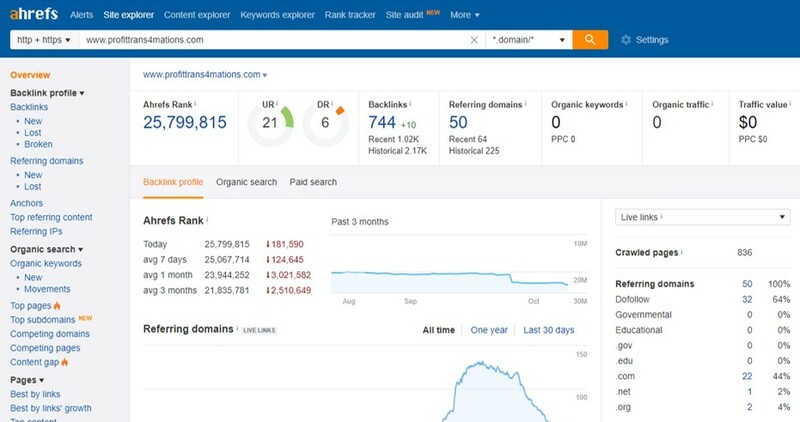 You’ll receive a report from Ahrefs include to discuss the facts of your current efforts, plus your On-page SEO quality. At best, you could save yourself thousands of dollars by learning how to do SEO yourself. Book a meeting to discuss your website SEO. Its free, so you’ve got nothing to lose. If you learned something of value in this post, please make a comment below. All the best with your SEO success!